Applications close on 28 February 2019. The modern museum as it has developed in the West is an historically and culturally specific phenomenon and so may be fundamentally inimical to an understanding of Islamic architecture. It is this problematic – both as it relates to architecture (because of the challenges buildings pose to the museum by their scale and relation to other objects) and as it relates to Islamic material culture – that this PhD project will explore. 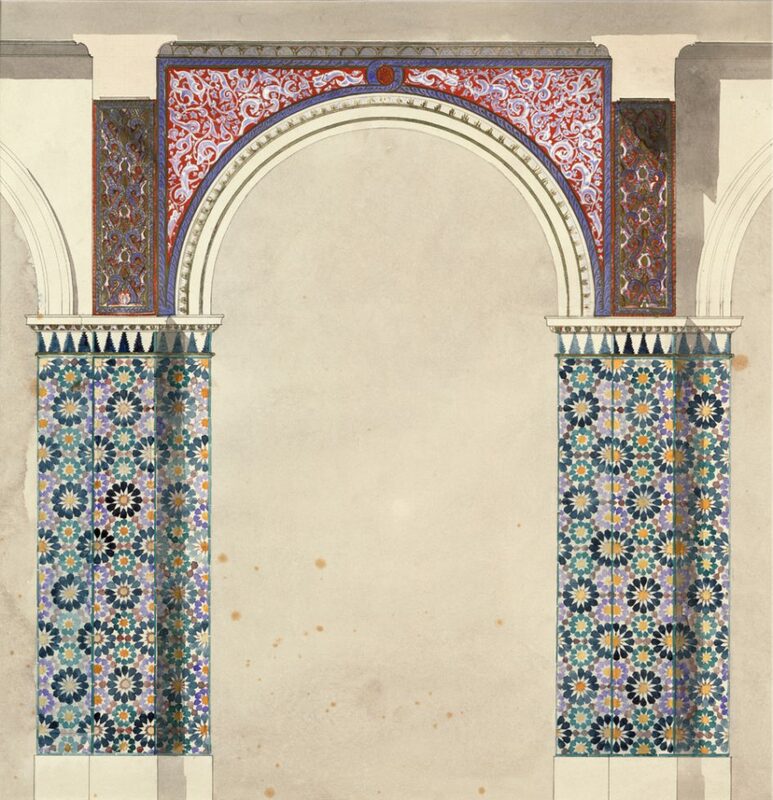 The objective is to unravel these issues through historical and contemporary case studies in order to obtain a clearer sense of developments, options and possibilities in the display of Islamic architecture in the modern museum. The project might be limited to one historical period; it might track phenomena across a longer period; or it might compare different moments. It may be based on one national (including potentially colonial) context or it may involve comparisons between countries, especially between European and Islamic countries. Such a transnational approach would allow the candidate not only to ask what means of display might be more appropriate to these objects, but also if more appropriate means of display exist anywhere and how they can be brought into meaningful dialogue with the other means of display. Three ways of approaching the topic are suggested. 1. Islamic architecture within the museum. Several architecture-related categories will be researched under this rubric. These categories overlap but they also epitomise different aspects of the problem of exhibiting Islam in the museum. Each of the five categories might be understood, within the museum, to have been given the format and viewing conditions of other apparently similar but culturally often very different items within the same category. For example, architecture exhibited as fragments derives from the antiquarian tradition of appreciation for the ruins of Graeco-Roman civilisation. Fixtures and fittings are put in vitrines like wares for sale in a department store (with which the museum shares a long history). Ornament is presented as secondary or subsidiary, a matter of repeatable convention, often feminized or regarded as ‘other’. Writing is treated as a primary or determining phenomenon, the master key to the object but separated from it. The city from which the architecture is taken is understood as mappable and topographically meaningful in relation to the architecture, in other words, as pictorial context for the architecture’s text. There are several levels at which this aspect of the research would function. The first place to start is with a specific museum and the position of Islamic architecture within its strategies and policies of display. This provides a basis in terms of typical modes of display and ways by which the problems detailed above have been registered or bypassed in the museum. Another place to start is with buildings that have in part some presence in the museum, namely, the major buildings of the canon that have been represented within the museum in ways supposedly indicative of their canonicity. Starting here will allow the student to ask: 1) What aspects of these buildings have eluded museological representation and so are, in a sense, invisible? 2) What has happened to these buildings that has museumified them and turned them into an extension of what Mitchell calls a society’s ‘exhibitionary order’? 2. Islamic architecture beyond the museum. There are many buildings that have yet to be assimilated within the museum. How might that fact offer a critique of the museological gaze? This question raises the issue of the acceptance, or embrace, of those aspects of Islamic architecture which resist display. Are those aspects distinct from architecture’s inherent incompatibility with the museum or simply a variation of it, and how might they be made to register for the museum visitor? 3. Islamic architecture as the museum. The final line of approach concerns the architecture of the museum itself. The museum’s architecture provides the spaces, the sequences of spaces, the whole paraphernalia of fixed and large-scale forms of address and framing within which the objects of Islamic culture are displayed. Is it possible to make this architecture take on the role of representing within and between the objects displayed fundamental aspects of Islam that pertain to the ‘al-ghayb’ or unseen half of the Islamic cosmos, and which are, therefore, largely invisible to the naked eye? If so, how? The candidate will possess a Masters degree in History of Art, History of Architecture, Museum Studies, or other fields related to this research topic, and have some familiarity with postcolonial studies and/or museology. Architecture, museology, Islamic studies, architectural history, art history. Further details about the project may be obtained from Mark Crinson, m.crinson@birkbeck.ac.uk (Principal Supervisor) and Simon O’Meara, so20@soas.ac.uk (Co-Supervisor). Please see the main Birkbeck website for information about PhDs at Birkbeck. Application forms and details about how to apply available from Anthony Shepherd, aj.shepherd@bbk.ac.uk. Successful candidates will need to complete an MPhil/PhD application. The successful student will be registered at Birkbeck, University of London.